The Electoral College has cast their ballots, with the traditionally ceremonial event being highly politicized and hotly contested. Thousands of Americans protested at various state capitols to demand the pro-Trump electors change their vote, but these protests were in vain. Trump won well above the margin needed for his confirmation as the next US president. RT correspondent Manny Rapalo has the story. Russia has deemed the assassination of Ambassador Karlov an act of terror. 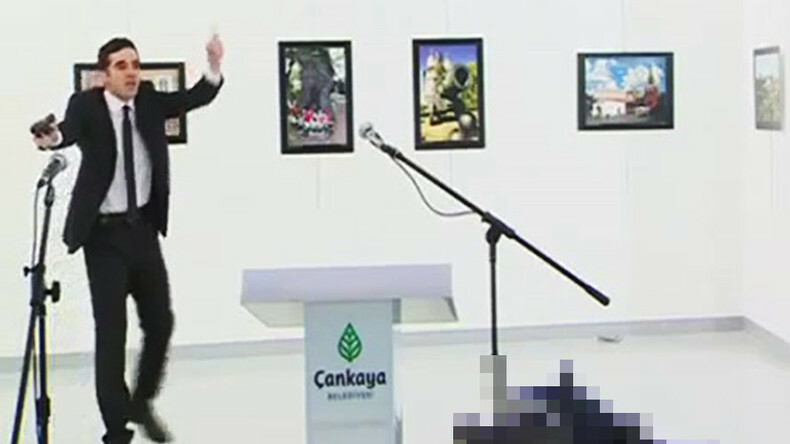 The gunman’s words and actions, which had to do with unfolding events in Syria, were clearly politically motivated and are expected to possibly raise tensions between Russia and Turkey. Jim Jatras, US diplomat and former GOP foreign policy advisor, joins RT America’s Ed Schultz to offer insight and analysis.